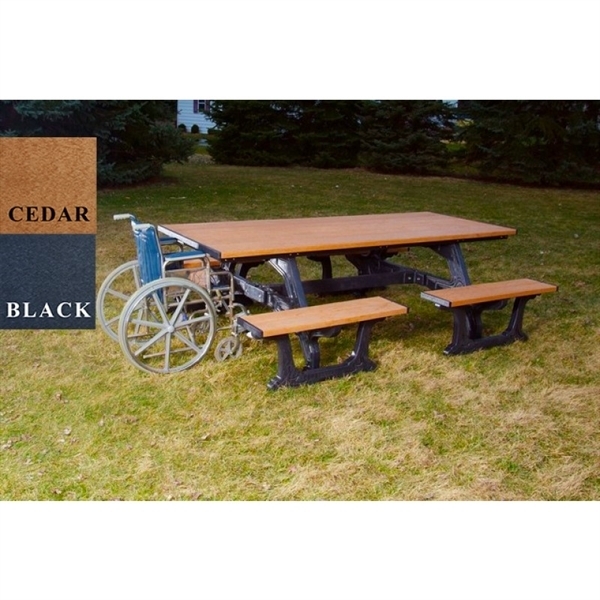 Wheelchair Accessible 8 Foot Recycled Plastic Picnic Table, 415 lbs. 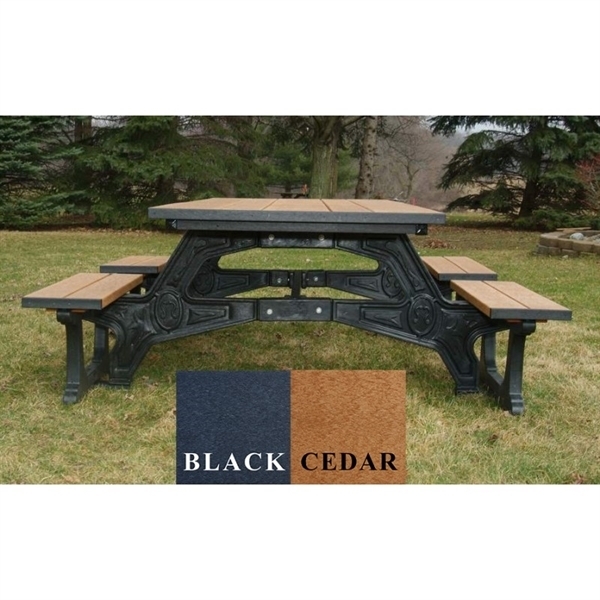 This ADA Universal Access picnic table has enough space for wheelchairs on both sides. 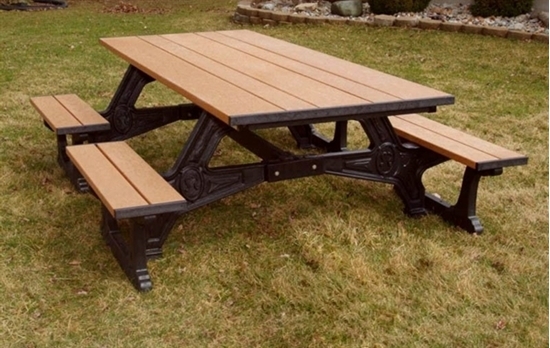 This recycled plastic picnic table has planks that resemble wood without all the maintenance. 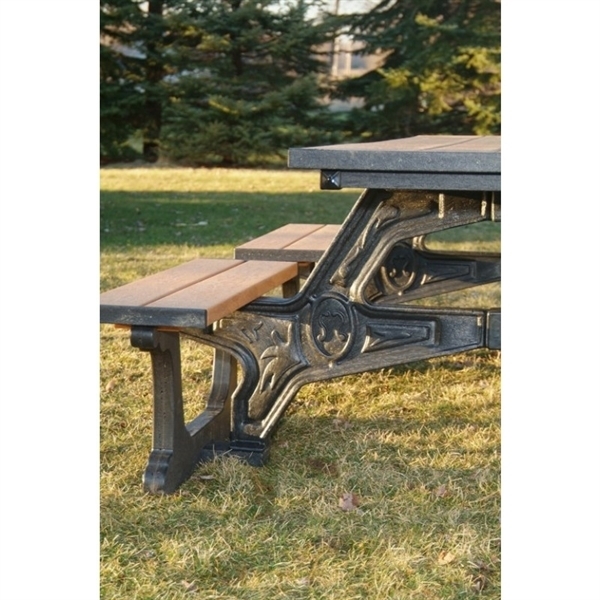 Recycled plastic lasts longer than wood picnic tables as they do not rot or peel. Recycled plastic does not require to be painted or finished before use, meaning it is low maintenance and will save on maintenance costs in the future. Click here to watch the assembly video!